Posted in: Damien Burke Driving Test Passes, Driving Lesson Midsomer Norton, Happy Customers. 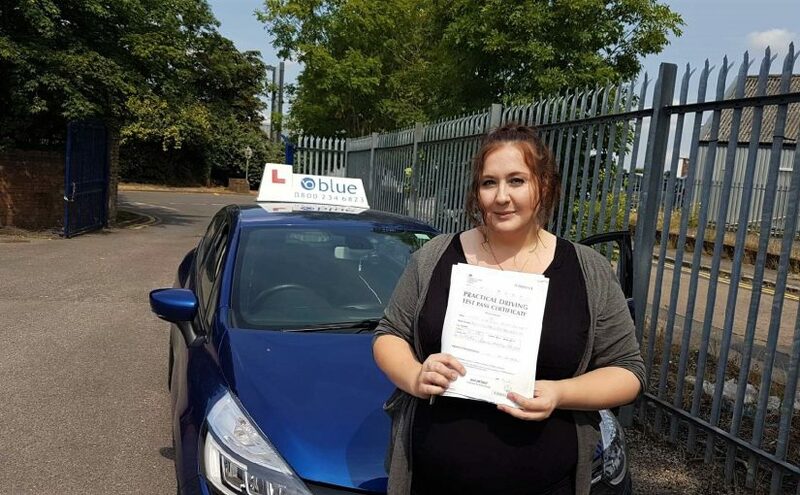 Great way to start the summer holiday period for Christie Bennett from Midsomer Norton, Somerset who passed her driving test with only a few faults in Bristol, Somerset. Christie had to drive in as always really hectic Bristol traffic and some high speed dual carriageways, and parking in a busy car park. All the best from Damien Burke you’re driving instructor, and all the team at Blue. 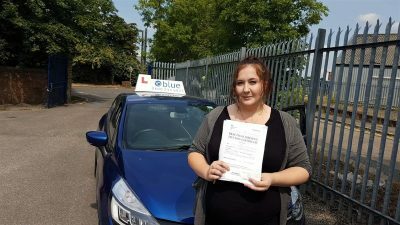 Blue School of Motoring instructors in the Midsomer Norton area have a high success rate, with most of our students for the driving school coming from recommendations. We can offer a flexible training programme to suit your needs, this includes pick up and drop off to your home or work. Each module is covered as per the DVSA (Driving & Vehicles Standards Agency) requirements. This includes help with the Theory, Hazard Perception Test, and on through to your taking of the Practical test.